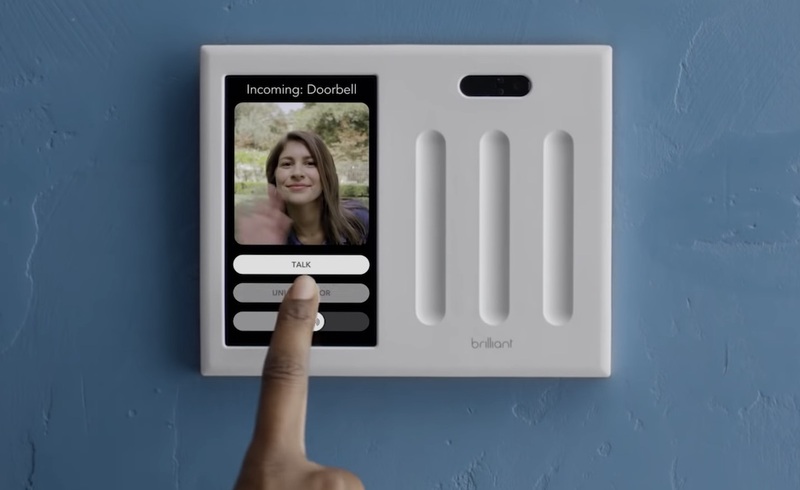 Smart home tech company Brilliant today launched its touchscreen-based "Brilliant Control" light switch priced starting at $299.00. Announced in early 2017, Brilliant Control replaces any existing light switch to enable touch and voice control over smart home devices from Amazon, Google, Nest, Ecobee, Honeywell, Ring, Philips Hue, and Wemo, but at launch not HomeKit. Amazon Alexa is built directly into Brilliant Control, making it easy for those in the Amazon ecosystem to control their products with their voice using the light switch. For whatever light switch you are replacing, Brilliant Control also turns these bulbs into smart lights through the touch and voice control system. Brilliant Control is compatible with Sonos, allowing the light switch to act as a hub for music playback on Sonos' line of smart speakers. The device also acts as a speaker system if you have two or more installed, so one person can make announcements to the rest of the house or use it as a video intercom between specific rooms. Connected smart features include being able to see who is at your door by displaying the feed from a Ring doorbell, adjusting the temperature of Nest with touch or voice control, controlling Hue scenes, and more. Brilliant Control's display can also act as a picture frame when not in use, displaying family photos, art, or even seasonal themes. Next to the touch screen are grooves that represent the traditional light switches you've replaced using Brilliant Control. Users can slide their fingers along each area to adjust the lighting for each respective fixture. We reached out to Brilliant regarding future HomeKit support, and the company told us that it has hardware support for HomeKit built directly into Brilliant Control. This means that a future software update for the switch will include HomeKit support, but the company didn't divulge a release window for this update. This should make Brilliant Control more enticing for those in Apple's ecosystem when HomeKit support launches, allowing you to control your scenes and accessories through the touch panel or Siri. As usual, if you're interested in Brilliant Control for HomeKit support, it's probably best to wait until the update has rolled out since we aren't sure how long it will take. The company is also launching a connected iOS [Direct Link] and Android app, which allows all of the same controls when you aren't at home. 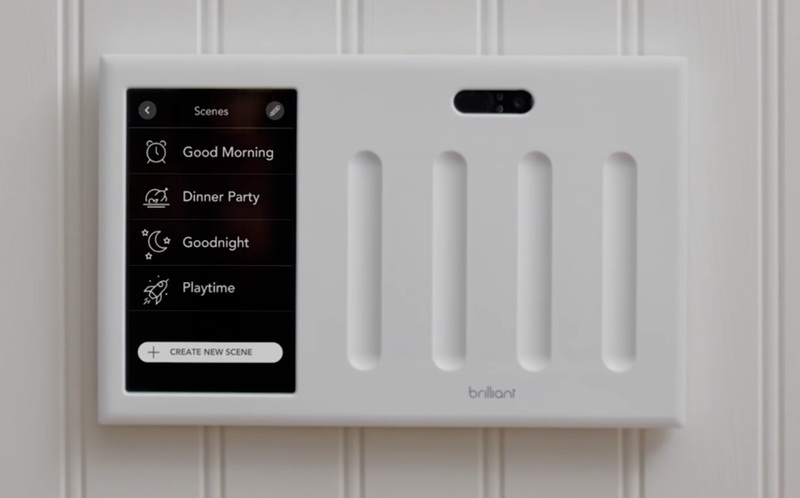 Brilliant says that installing the device is as easy as installing a light switch, and requires "no additional wiring, modifications, or remote servers." Brilliant Control comes in six colors and begins at $299.00 for a one light switch panel, and then rises to $349.00 for a two switch panel, $399.00 for a three switch panel, and $449.00 for a four switch panel. More information about Brilliant Control can be found on the company's website. "HomeKit coming soon." How often have we seen that and waited months, or even years? I wouldn't buy it now with the expectation that it'll be any time soon. If you want HomeKit, I'd go with another option already offering it. I feel like regular light switches keep me grounded -you know- in touch with the common man. And my household staff have never complained about the them either. Instant NOT buy for me. Don’t believe promises of HomeKit. I bought a Ring Pro based on this and still waiting couple years later for promised HomeKit. We're starting to get autonomous, 24hr, internet-connected cameras inside our homes, this will not end well. Brilliant Control comes in six colors and begins at $299.00 for a one light switch panel, and then rises to $349.00 for a two switch panel, $399.00 for a three switch panel, and $449.00 for a four switch panel. That's even more price gauging as what Apple did with memory on it's phones, an additional $50 for every added switch is just plain silly/stupid. I for one will never buy this, but that's my opinion. This is really cool, but like others have said expensive! They should release just a connected switch for rooms that don't need the fancy screen. I bet this would reduce the costs quite a bit. I could see the screen being useful as a central hub. Maybe in the family room or kitchen. Then in the bedrooms have a more basic connected lightswitch.